When we lack first-hand experience with a new challenge, we often turn to others to help fill the gaps. How about when you had to choose which college to attend? Or when you bought your first car? How about planning your wedding or birthing your first child? All of these circumstances were unfamiliar at the time, so you probably sought guidance from friends and family when making these decisions. The same thing happens when you buy a house for the first time, especially as a military homebuyer. There are right ways and wrong ways to approach buying your first home. As your friend, I'm going to tell you about 5 major mistakes that you need to avoid as a first-time homebuyer. I love things easily. I get attached to the lost animals I find running across the road and feel the need to take them home with me. I’m the sappy viewer who falls in love with TV characters and cries when "Friends" is over on Netflix. Because I get attached easily, I know that it prevents clear perspective. I know that when I fall in love with a home, I am more likely to overlook problematic areas. But because I “fell in love” I have already decided the house is for me. Loving a piece of property is dangerous when you are considering buying. Unlike renting, you cannot discover flaws and call up your landlord to magically fix it. When you buy a house, YOU are the responsible party for any and all modifications made to the home. 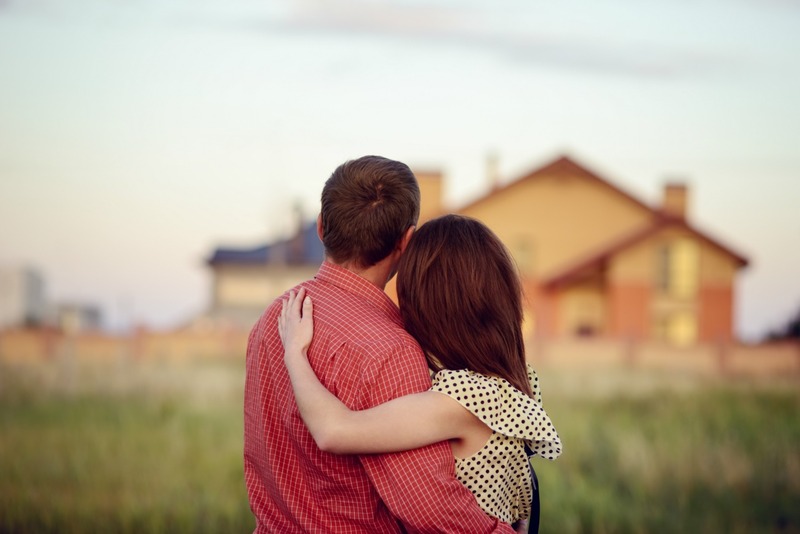 As MilitaryByOwner writer Karina Gafford discusses in The Dangers of Having a Crush on Your House, it's important during the home-buying process to remain objective and clear-headed. On the other hand, it's easy to walk into a home and critically tear it apart piece by piece. From ugly carpet to bright-blue bathroom counter tops, it's possible to overlook the "bones" of a home because of the distractingly unattractive features. With a budget in mind, you can easily replace undesirable features in a home with much more attractive ones, making your new house feel like your home. 3) Not researching the area. Aesthetics aside, a great deal of you being happy in your new home has to do with where it is located. The previous owners may have put work into making the house look perfect in every way, but is it located in a run-down area of town? Is the city scheduled to develop the surrounding area into commercial lots? Is it within your desired commute time to yours and your spouse’s work? What about schools? Is the school district one that you are happy to send your kids off to every morning? When buying a house, you're buying much more than just a house. You are buying the area. You are committing yourself to a specific community and you need to decide if that community is right for you before you sign the papers. Check out the reviews at Military Town Advisor to learn more about your potential neighbhorhood. 4) Looking outside your price range. We're all guilty of this. I'm not going to tell you to not dream! 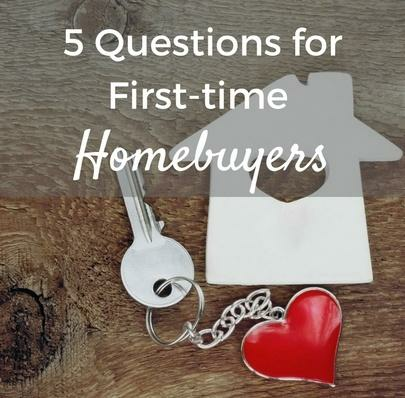 Dream all you want, but it's best not to dream about your ideal home when it's your first time buying a home. How many times have you gone clothing shopping and tried on a dress that was out of your price range? I know, you didn’t try it on with the intention of buying it, it was simply to have some fun. Believe me, I didn’t either, but I think we both know how that story ends. Home buying is similar. When you see your dream within reach, it takes a lot of self control to walk away from it. As it says in our post Don’t Be House Poor: 7 Tips to Avoid Overspending on Your Home, “When it comes to one of the biggest purchases that you’ll ever make in your life--your house--it’s critical to make sure you’re not overspending.” Overspending and living beyond your means adds unnecessary stress to your life and will prevent you from enjoying your new home. Even beyond the emotional consequences, it can lead to a great deal of financial trouble if you're not careful. 5) Skipping a home inspection. While organizing a home inspector to come through the home may seem like a drag, it could save you thousands of dollars. At the very least, inspectors should take a look at the property’s plumbing, foundation, electricity, roofing and drainage. Failure to check for these problem areas could lead to mold, a cracked foundation leading to unsafe living conditions, exposed electrical wires leading to potential fires, roof replacement, and flooding causing a damaged foundation. Any one of these catastrophes could lead to thousands of dollars in repair and heartache. It's better to pay the home inspector up front rather than deal with the consequences of overlooking one of these major flaws. As you approach buying your first home, keep these mistakes in mind, and take a look at MilitaryByOwner's further resources for military home buyers.